Many nursing students have never heard of dimensional analysis when they have to learn Med-Cal. Dimensional Analysis is the mathematical system using conversion factors to move from one unit of measurement to a different unit of measurement. 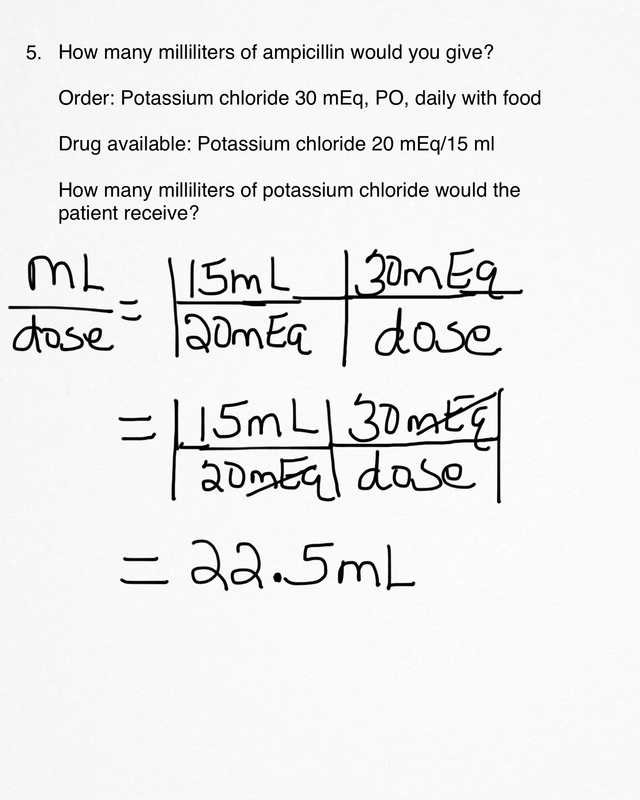 Here are two examples of Fundamentals Med-Cal problems using dimensional analysis. 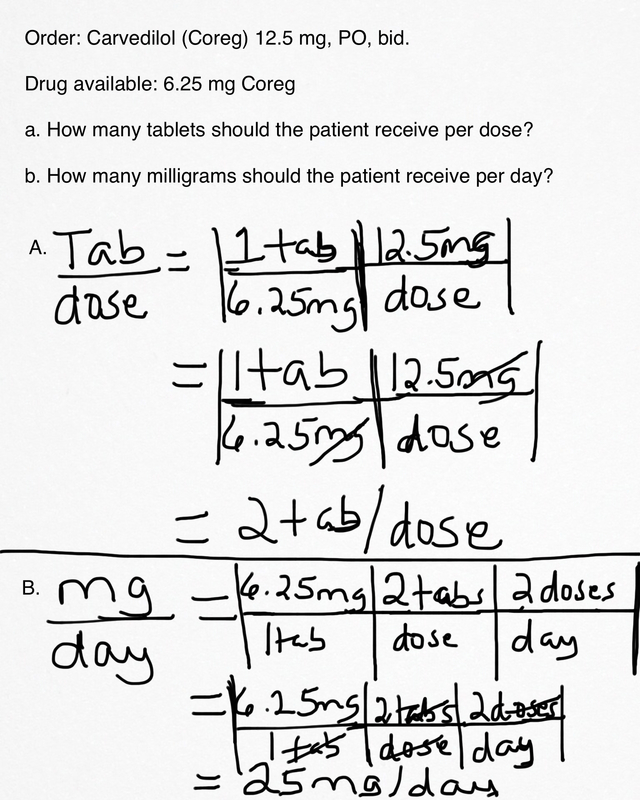 When reading the math problem look at what the question is asking you and the units (ml, mg, dose, or tab) you are looking for goes on top. Get Your Copy Below On Amazon!